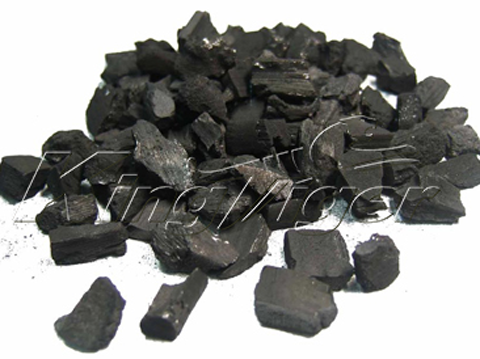 Charcoal is widely used for many industries, and it has broad market prospects. 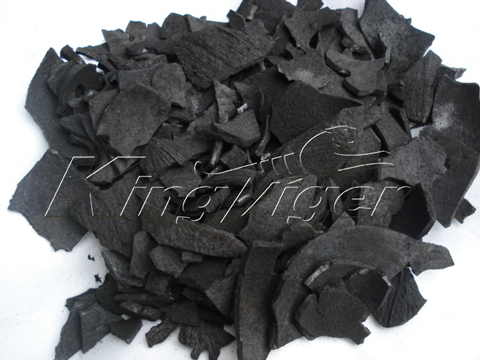 Making charcoal from biomass has become an ideal business. 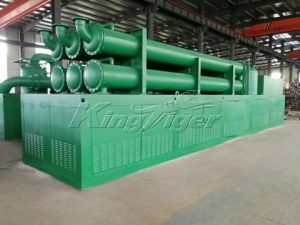 Kingtiger is a professional manufacturer for waste to energy plant; we can supply the best solutions on recycling different kinds of waste. 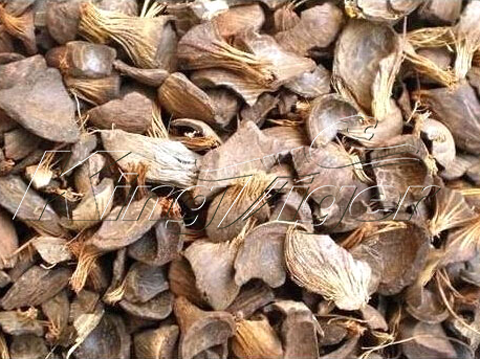 Biomass charcoal making machine is our hot sale, due to the mature process, advanced technology, high quality and fair price. 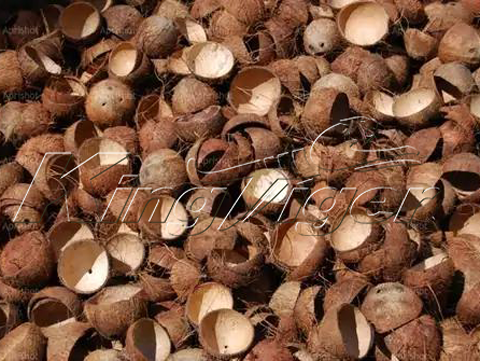 Our raw materials of charcoal production equipment are very widely, including municipal solid waste, palm kernel shell, wood sawdust, rich husk, palm kernel shell, straw, bamboo, agricultural waste, sewage sludge, green waste, peanut shell, coconut shell, etc. 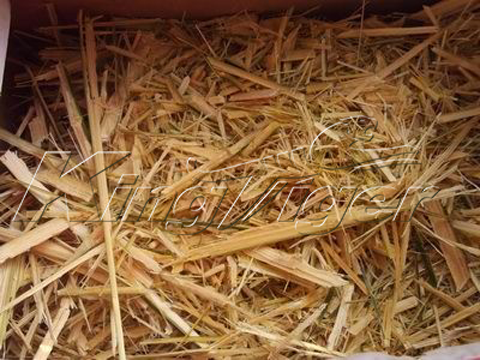 End products are charcoal, biogas, wood tar and wood vinegar. 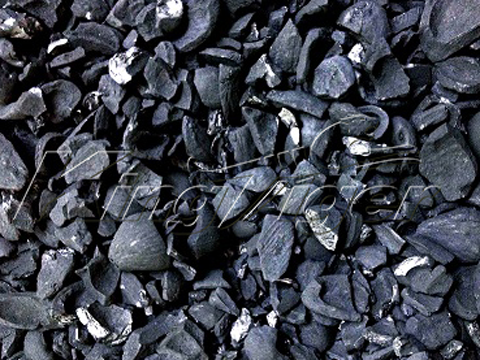 Charcoal has many features: density, high calorific value, smoke-free, tasteless, non-polluting, non-explosive, flammable, green product, etc. 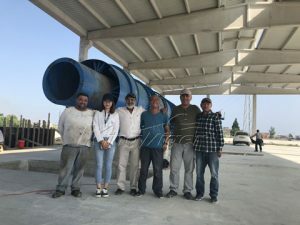 This machine has other names: charcoal production machine, charcoal manufacturing machine, as well as charcoal manufacturing equipment, carbonization machine, biochar making machine or biomass pyrolysis plant. 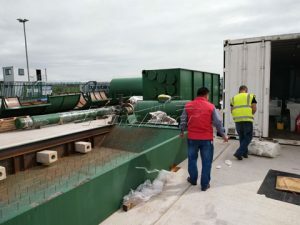 This charcoal machine is our new product; biomass can be carbonized into charcoal after discharging water, wood tar and wood vinegar, under the condition of high temperature and semi-anaerobic conditions. Capacity per day can be designed according to requirement of customers. Our technological process is “self-heating from carbonization”, due to combustible gas produced from carbonization reactor can be enough to maintain the whole carbonization process. This can save energy and protect our environment. 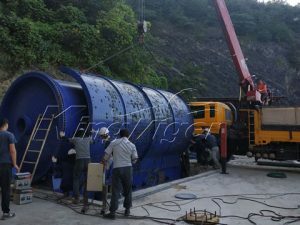 Traditional machine uses coal as the fuel, this has more disadvantages: it will increase exhaust emissions and need more environmental protection equipment; and it is difficult to control the temperature. Customers can save fuel cost. 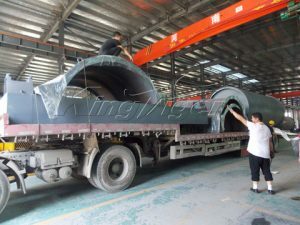 Our machine is equipped with the casing (protective shell), which can prevent the carbonization reactor contacting the high temperature directly, it can prolong life service. 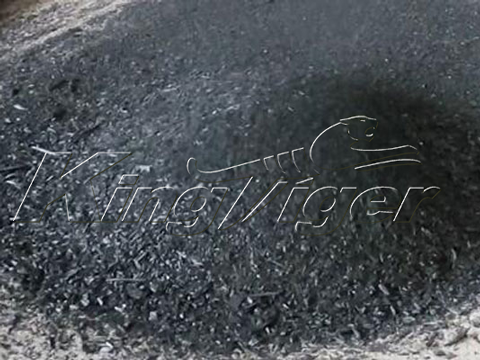 Carbonization ratio is about 3:1 or 4:1, which means one ton of raw material can produce about 330kg charcoal. it is different due to different materials. 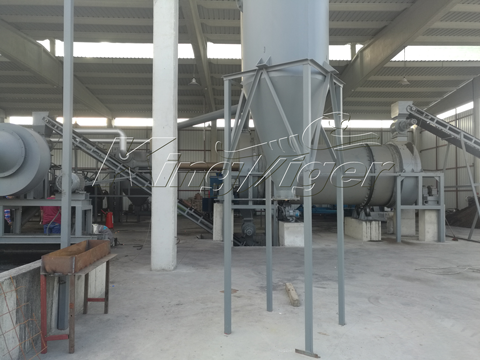 Our charcoal production machine can be equipped with different pretreatment equipment according to the size and moisture of the material. 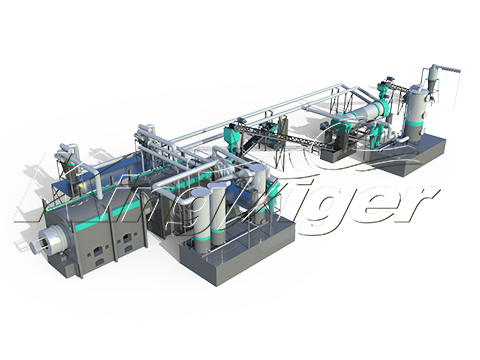 Our machine is continuous working, which means it can feed raw material from one side, and discharge from another side at the same time. 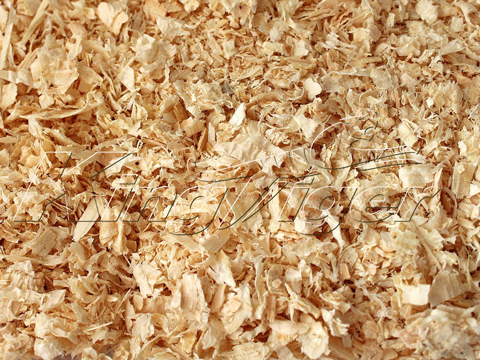 Our machine is equipment the professional tar and wood vinegar collection system. 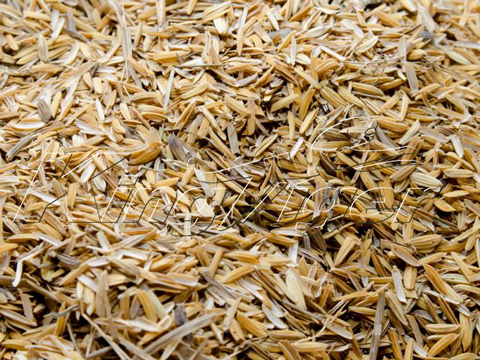 Designing and manufacturing of equipment according customer’s requirement. Training technical staff for customers. We send technical personnel to site for planning site and designing. Assist customer in preparing construction programs. 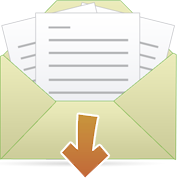 Our company will assign professional personnel to site for installation and commissioning. 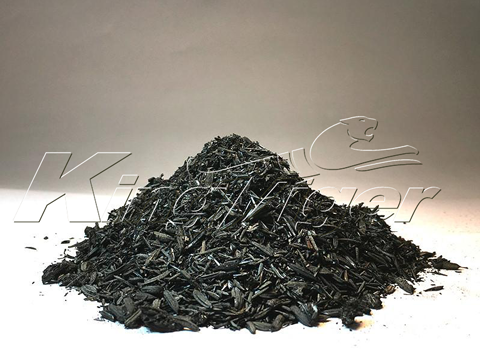 If you want to learn more solutions on recycling other waste (tyres, plastics, medial waste, solid waste, waste oil), please check out Kingtiger Group to back our home.